Digital multimeter is an electronic equipment used to measure two or more electrical values like voltage, current, resistance etc. 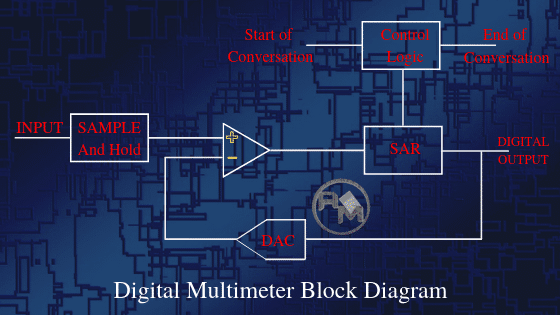 Here we explain you how it works with the help of block diagram, operation of digital multimeter and accuracy. If you want to know more about its working principle you may follow this Working principle of digital multimeter. The Key process that occurs within a Digital multimeter for any measurement that takes place is that of voltage measurement. If you measure voltage then you can easily measure other electrical parameters with the help of mathematical formulas. To understand how digital multimeter works, first of all, we have to understand this process. As we know, Digital multimeters gave output in numeric form due to ADC registers present inside these multimeters. 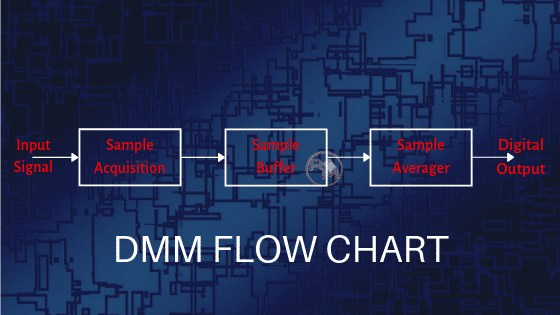 One that is most widely used in digital multimeters, DMMs is known as the successive approximation register or SAR. For better accuracy, these SAR ADCs may have resolution levels of 12 bits. Generally, Digital multimeter has resolution levels of 16 bits with speeds of 100k samples per second. These levels of speed are more than adequate for most DMM applications, that’s why we are using these registers depending upon the requirement. As shown in the diagram, the first stage of the process is sample and hold used to sample the voltage at the input of the Digital multimeter and then to hold it steady. The output of the first stage becomes one of the inputs of the operational amplifier and another input of the opamp is a digital output feedback through the DAC. The output obtained becomes the input of the SAR which generates results in digital form with good resolution level. With a steady input voltage, the register starts at half its full-scale value. It basically sets the most significant bit, MSB to “1” and all the remaining ones to “0”. To see how it works take the simple example of a 4-bit SAR. Its output will start at 1000. If the voltage is less than half the maximum capability the comparator output will be low and that will force the register to a level of 0100. If the voltage is above this, the register will move to 0110, and so on. The flow chart given below shows the operation flow of digital multimeter. As shown above, sample acquisition is done with the help of the sample and hold circuit. Inside the sample and hold circuit the capacitor is present which is got charged to match the input analog voltage known as the acquisition process. When the capacitor is released from the acquisition circuit then the voltage is considered to be sampled. After this, the noise generally comes which will adversely affect the accuracy of the digital multimeter. To overcome this, we buffered and averaged the samples to achieve high accuracy and resolution. 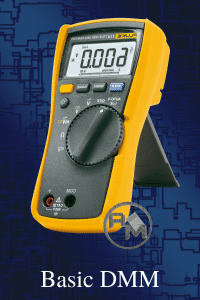 After knowing this you can easily use Digital multimeter for measurements of electrical parameters like Ac & Dc voltage, current, Resistance, capacitance etc. (i) Settling time: When the value to be measured is applied to the input of the circuit it would take a certain time to settle is known as settling time. This will overcome any input capacitance levels when high impedance tests are made. (ii) ADC calibration time: In some DMMs a calibration is periodically performed must be accounted for especially where measurements are taken under automatic or computer control. (iii) Switch time: The switch time is the time required for the instrument to settle after the input has been switched. This includes the time to settle after a measurement type has been changed, e.g. from voltage to resistance etc. (iv) Auto-zero time: To ensure accuracy it is necessary to zero the meter when auto-range is selected, or range changes are made. (v) Signal measurement time: This is the basic time required to make the measurement itself. For AC measurements, the frequency of operation must be taken into account because the minimum signal measurement time is based on the minimum frequency required of the measurement. Note: Here ppm refers to parts per million. (i) Temperature: At large extent temperature can affect the accuracy of Digital multimeters. Today many multimeters have an inbuilt temperature feature which eliminates the need of any external device.You can express them as ±(ppm of reading + ppm of range)/°C. (ii) Resolution: Resolution is directly proportional to accuracy. If you want accuracy you have to take care of resolution also.The resolution of Digital multimeter is expressed in terms of a number of digits displayed.Typically this will be a number consisting of an integer and a half i.e.3 ½ digits etc. By convention, a half digit can display either a zero or 1. Note: Different multimeters from different manufacturers may work in different ways. It is always recommended to consult the manufacturer’s instructions to understand how a particular digital multimeter works.